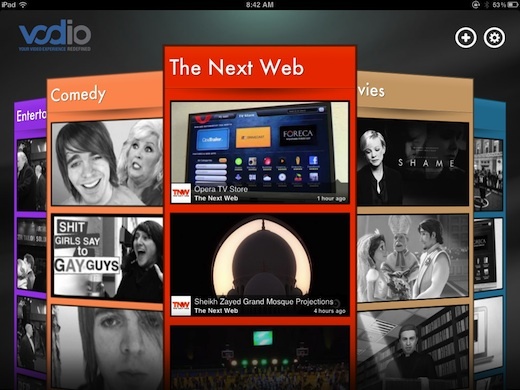 Vodio is a brand new, free iPad app that aims to make your video-watching experience a little bit more personal. We recently told you about Nowbox, an iPad app that plugs right into your YouTube account, but Vodio does things in a slightly different way. Vodio features a large carousel, with all of your subscribed categories and channels available simply by swiping from left to right. To browse a specific Vodio channel or category, swipe up and down. Launching the app for the first time, you’ll find that Vodio has already made some selections for you, and you can add and remove channels by clicking the plus button in the top right hand corner. Channels are divided into categories – including traditional choices like Entertainment, Movies, Music and Tech, while there are some pretty interesting choices available under the Cool & Inspiring category. Each channel can be further broken down into more specific categories. 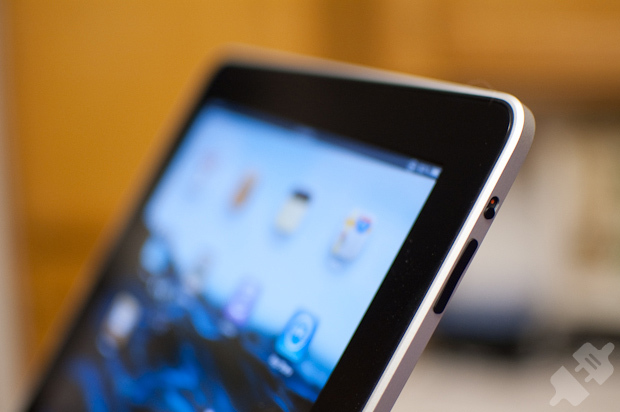 With Tech for example, you can choose videos about just gadgets, apps, or mobile. 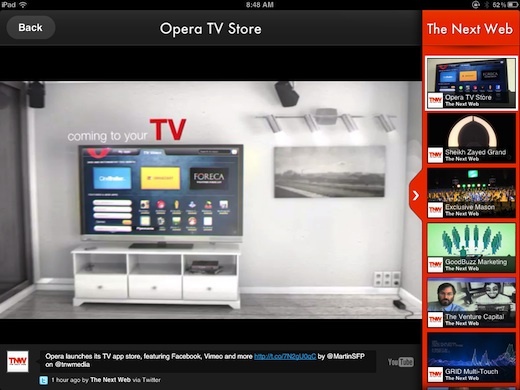 You can also add videos from specific tech sources, including The Next Web’s own channel. It appears that any videos shared by a specific news source, such as The Next Web, will be included on Vodio, whether they were originally posted or shared on Twitter, Facebook, YouTube, or a website. With Music, you can add specific genres of music, so that you’ll hear only the kind of songs that suit your taste. Surprisingly, if you’ve subscribed to a lot of YouTube channels and expect to access them through Vodio, you’re out of luck. The option isn’t available in the app. When it comes to watching the videos themselves, Vodio carries some of its carousel features into the rest of the app. You can swipe left and right to skip back and forth between videos, can share the videos via email, Facebook or Twitter, complete with a personalized message, and can also pull up a menu of all of the videos from that specific channel, while watching. Vodio is also one of those apps which gets better the more you use it. When watching a video, you can give it the thumbs up or thumbs down, and the app will adapt itself to suit your personal taste. 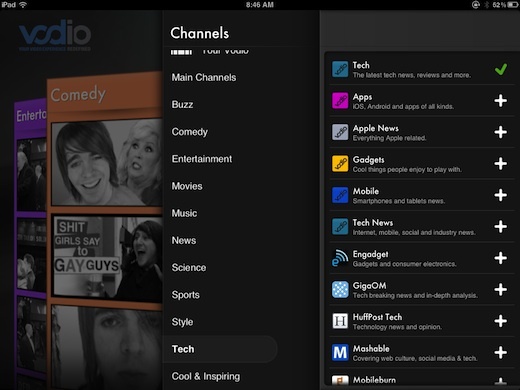 Vodio is a pretty slick app, and makes video discovery on the iPad a breeze. The carousel offers a different approach to other similar apps, bringing something new into the tablet video watching space, with the added advantage of acting as a personalized online channel of sorts.